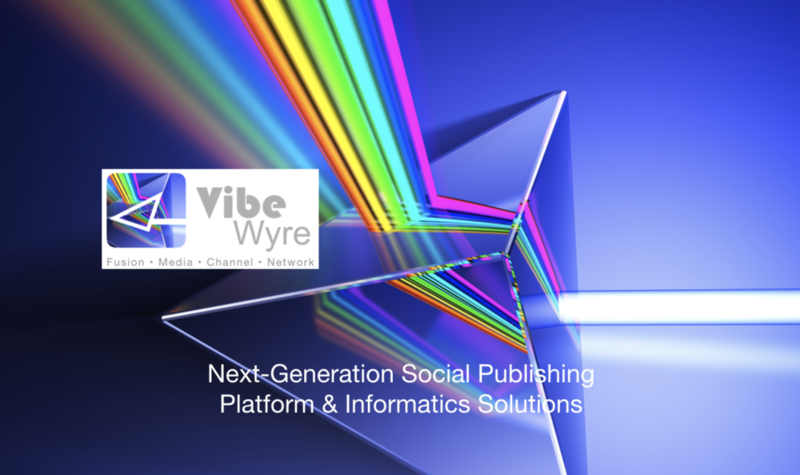 VibeWyre™ Fusion Media is a revolution in content management - Finally, audiences can see - and hear - a chorus of sources on a topic across social media platforms. VibeWyre™ fusion media allows publishers and aggregators to manage a Source Matrix based on context, environment, and AI machine learning. Think of it as Spotify for social media lists. …with dynamic or “live” list management based on world conditions or user preferences. We’re entering a phase of the web where vital and desirable information is available in abundance, but there is a lack of realtime and relevance-driven curation. VibeWyre, a new venture from serial innovation studio Marshall Monroe MAGIC, solves this problem, allowing for social media curation on the fly - with channel applications in the entertainment, education, public safety, informatics/news, and community/cause coordination sectors. With a VibeWyre publisher subscription, or through our specialized curation management services, scattered bits of information suddenly come together in meaningful ways, based on context and significance. This platform works across Twitter, Facebook, and other social media networks, so users can focus on content, not the platform and it’s distractions. How it works: It all starts with a managed matrix of desired or meaningful sources, which are organized into preset playlists. These presets can be selected by the publisher at given times, for maximum channel relevancy. Sources become boosted or de-emphasized based on context and need at a given time. And that sets the stage for AI and Machine Learning integration - the channel comes alive with logic and dynamic priorities - all delivering the “vibe” of a topic to the audience.